Personal Note: I had to laugh when I read the first paragraph of this post from 2010. I could have written those same words this afternoon, after leaving you hanging on Thursday. But here’s the rest of the story – one of my favorites from “back in the day”! It was almost cruel to leave you as I did Friday, wasn’t it. I thought about that as I was ending that post. Should I go ahead and finish – add 30 more photographs and give you what you really wanted – the farm with the horses grazing free. I did think about it – I promise. And then I smiled. And I thought about the anticipation that built in me on the ride over on the boat last week with the horses. 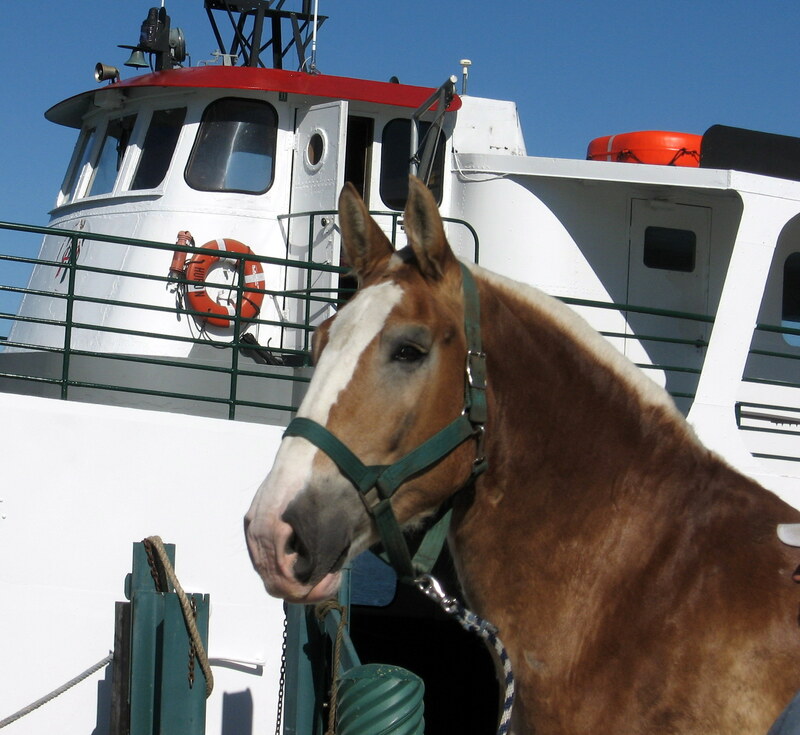 When we docked, and I watched that first gelding step off the boat, my heart did a little flutter-step. I watched them load up and the trailer doors swing shut. And as we rode those 50 miles to Pickford, my heart continued to beat a little faster than normal. The anticipation of the moment when the horses would be led into that big pasture, when the halters would be lifted over their heads (their halters are never off on the island), and when they would realize they were no longer bound by any means to man – that moment of anticipation was one I wanted you to feel with me. It wasn’t meant to be cruel – on the contrary, aren’t the good things in our lives we have to wait for all the more treasured because of the wait? 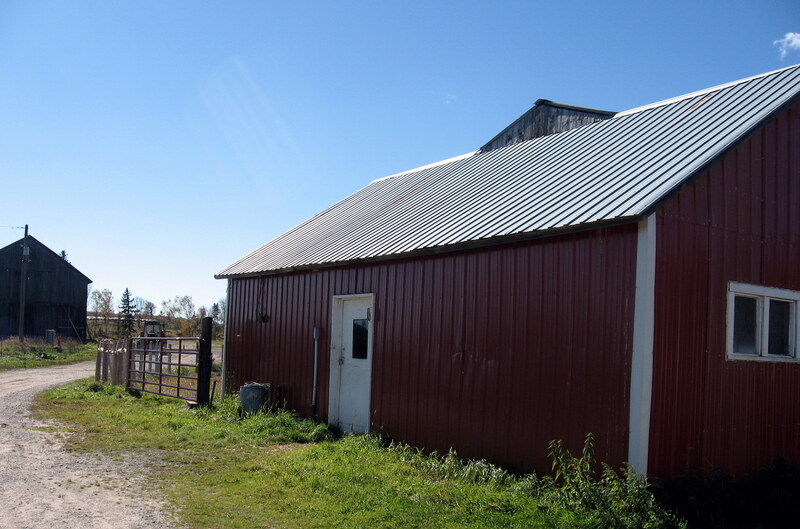 But, now as I sit down to write the rest of this journey, I worry that I won’t be able to give you all the joy and emotion of what that day felt like when we did reach the farm. But I will try, and what I miss in words, perhaps I can make up to you in the photographs. First, let me introduce Randy Hall. Randy was my “go to” person for this part of the trip. He was the driver of one of the two horse trailers waiting to transport us to Pickford. I learned later that Randy does a lot of the Carriage Tour driver training on the island in the spring. 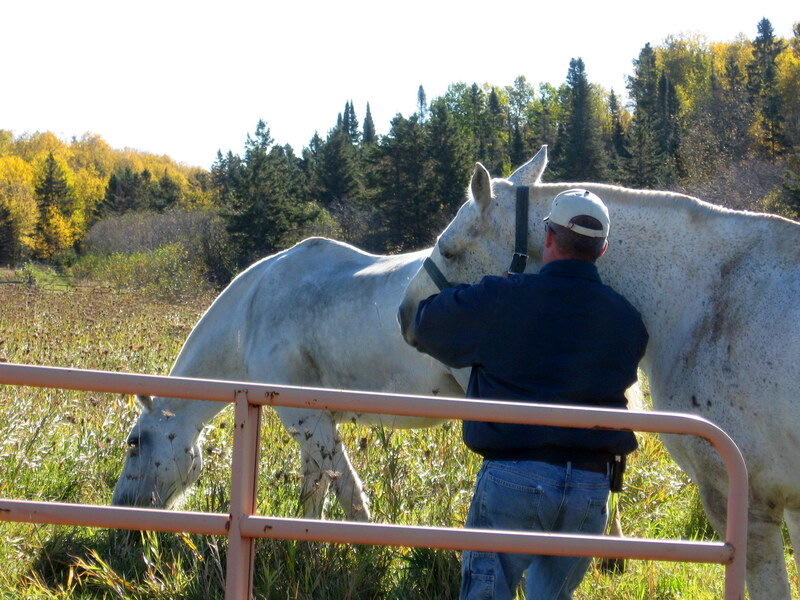 He grew up with horses in the Upper Peninsula, and his passion for them is evident in how he talks about them and how they respond to him. 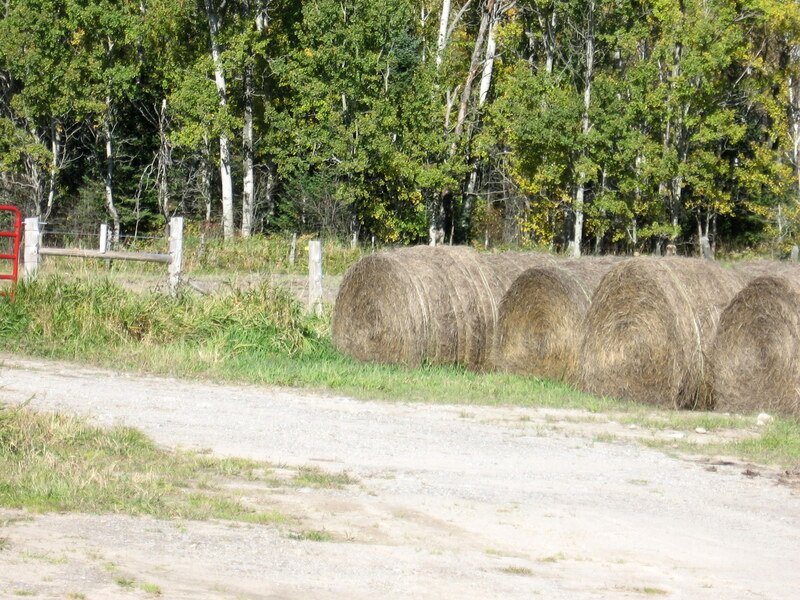 He owns a horse farm himself and also grows hay. 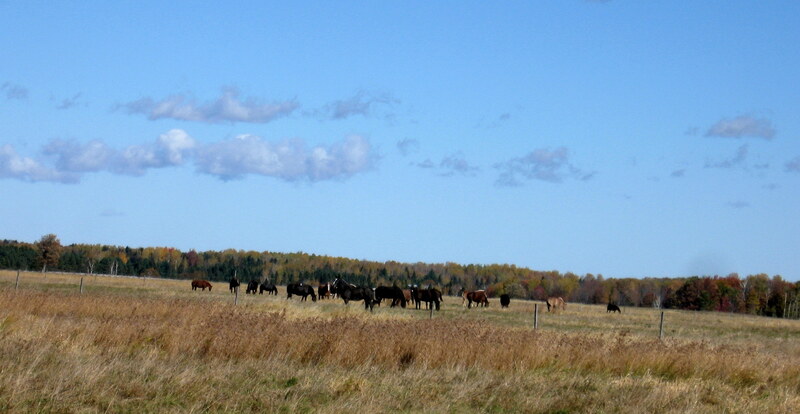 Most of these horses are geldings – in fact there are very few mares on the island, although there are some. 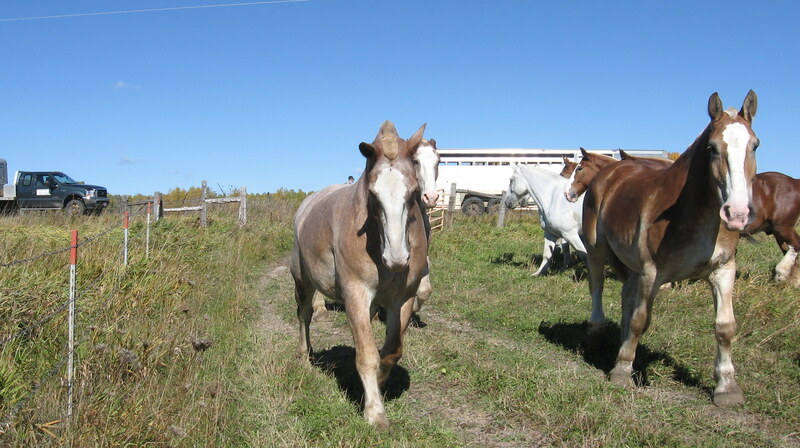 A majority of the island horses are purchased from the Amish, when they are 3-6 years old. The Amish have already trained and worked them around machinery in the fields, so they come to the island with basic training completed. 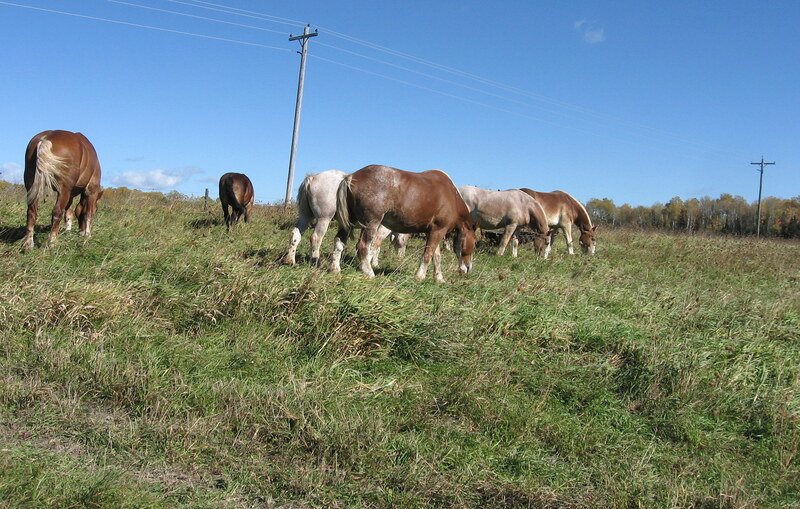 The Amish keep most of the mares for breeding and sell the geldings. There are no stallions on the island. 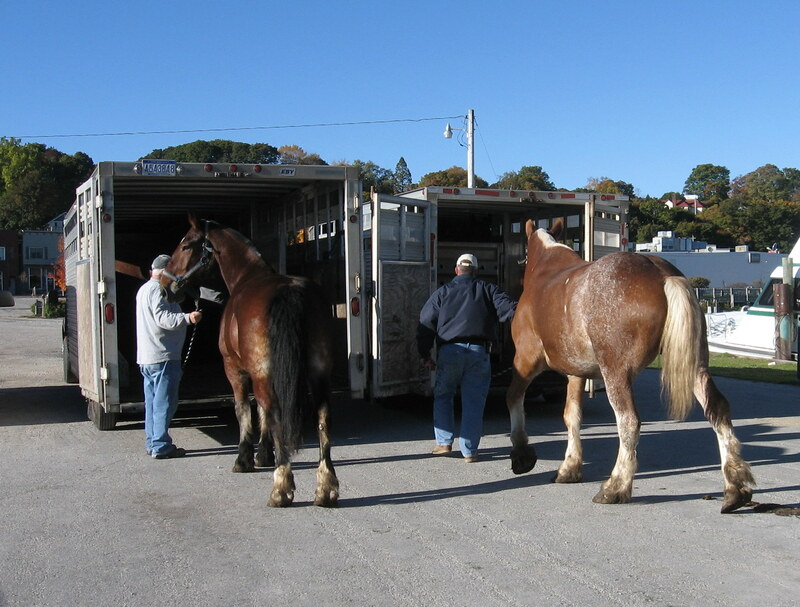 Loading and unloading into the trailers is old business for most of the horses. They have done this for years, and the nervousness of the few new horses is tempered by the calm of the older ones. Randy secures this big Belgian in the trailer. Last one into this trailer. 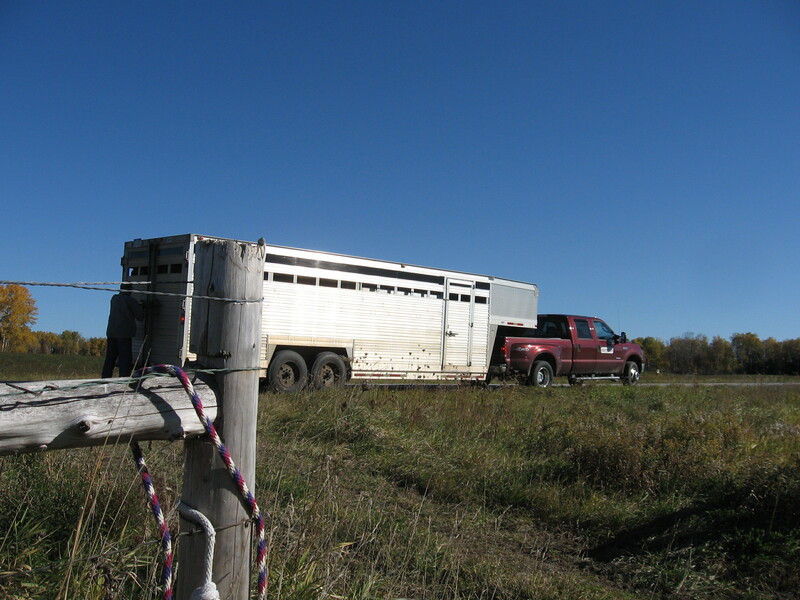 We were transporting 12 this first load – 6 in each trailer. 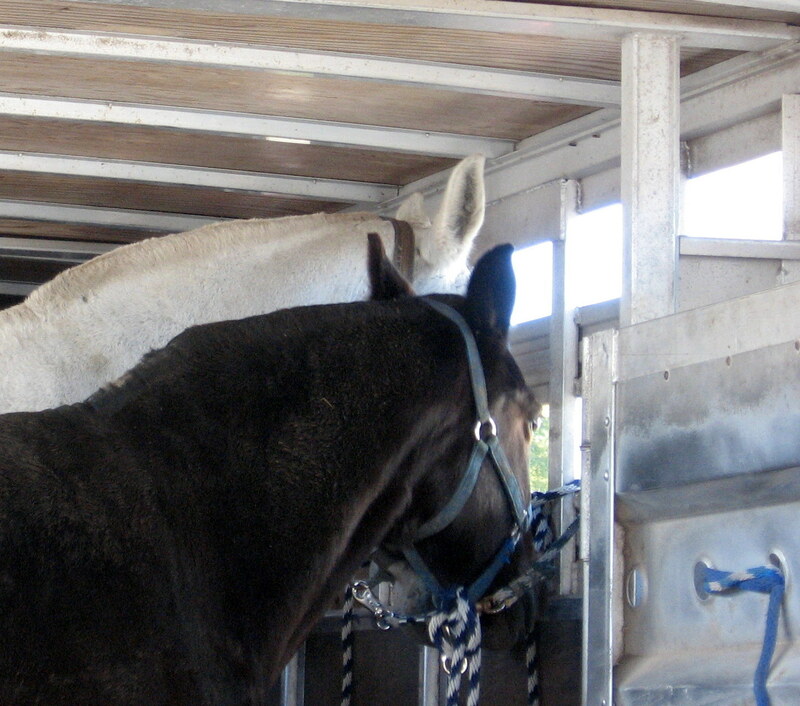 Three horses are secured at the front of the trailer, then a divider door is closed that separates the front from the back. 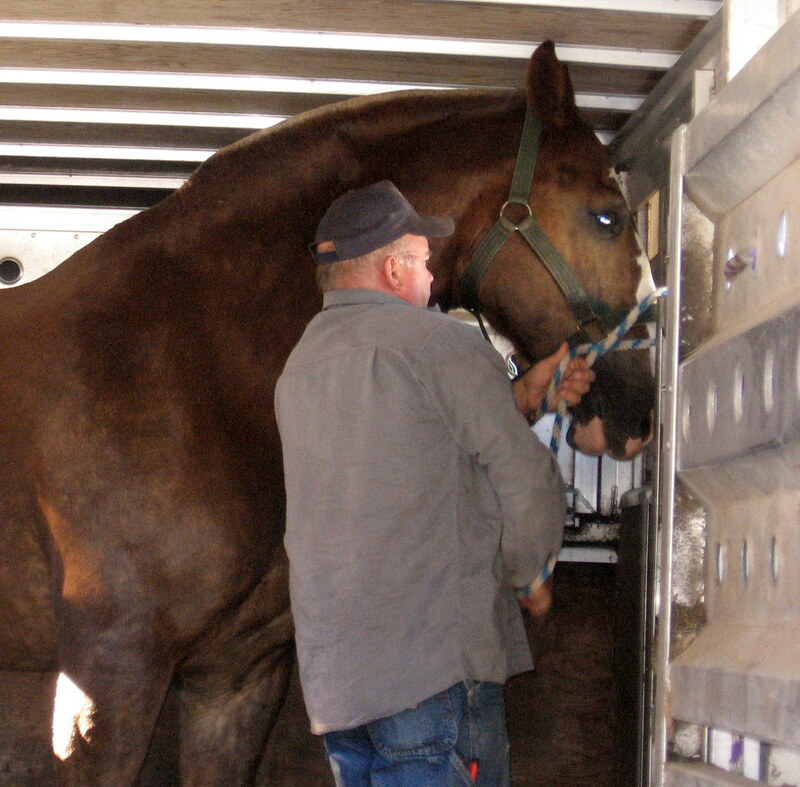 Then three more horses are loaded into the back. I’m sure Randy thought he had been given the worst duty of the year – having to put up with Bree the Blogger for two 100-mile round trips to Pickford. The photos above are a combination of the two trips – the first one over on the 9 a.m. ferry, then another one when we came back to pick up the second group at 11:30. 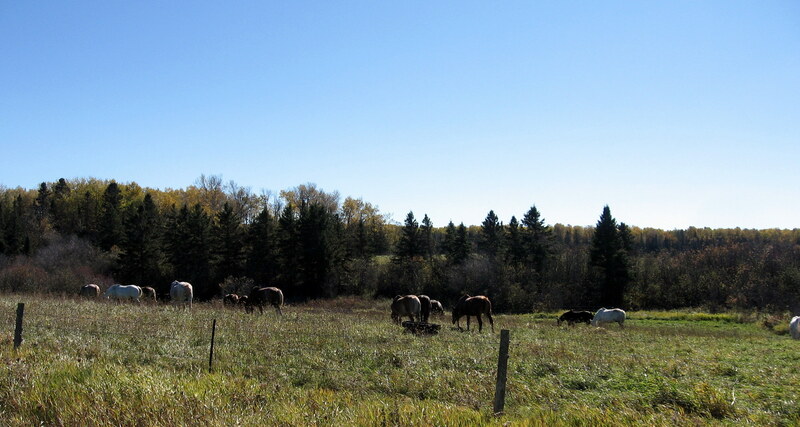 I’ve also combined the photos from the two trips to the farm, meaning we released the first 12 horses, then went back to St. Ignace to pick up 11 more and took them to the farm. 1) The Pickford farms – there are three of them – are the winter home of the Carriage Tour horses, as well as the Grand Hotel “omnibus” and State Park horses. 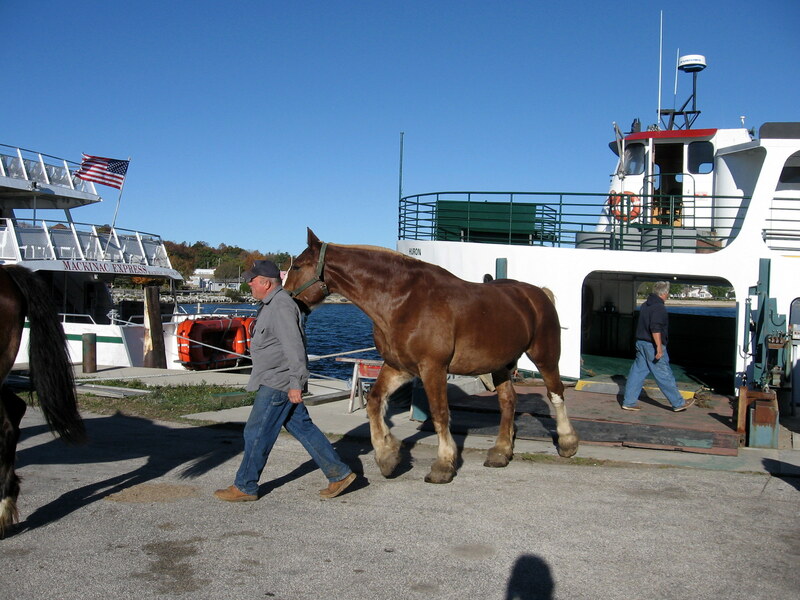 2) Randy does a lot of training with the horses before they are ever brought to the island. 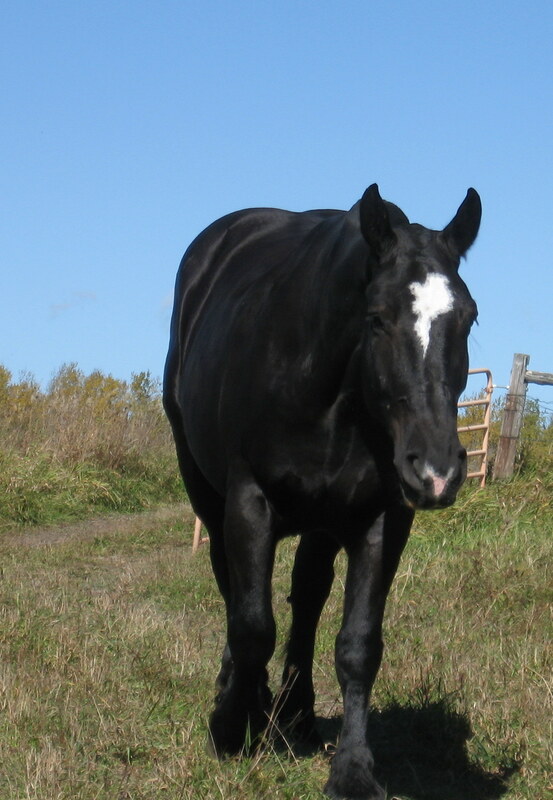 He does this winter and summer because horses are brought back and forth all season. A horse may just not be working out and will be returned to Pickford for more training. There has to be a horse ready to take its place. 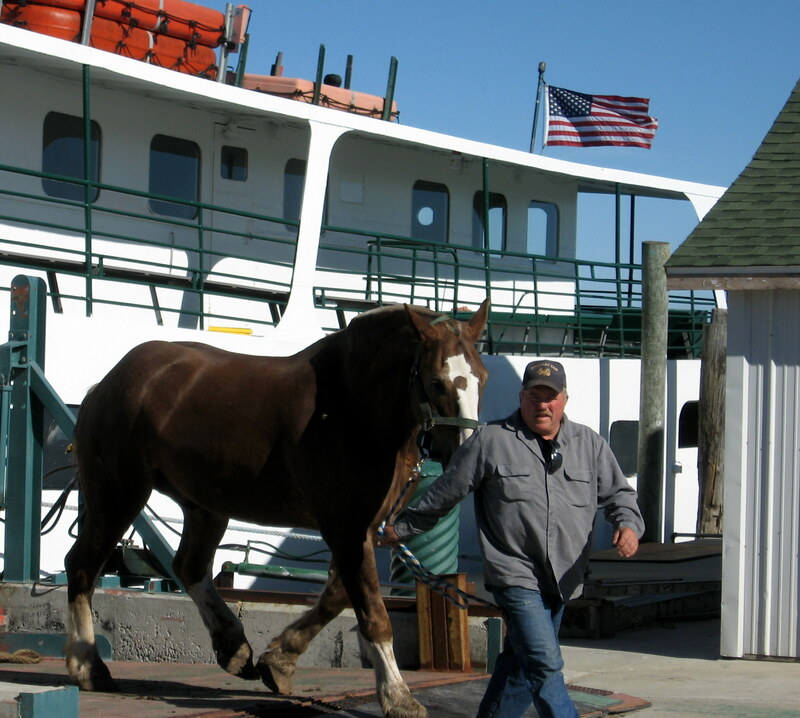 3) There are about 20 horses on the island all winter. Two are used for the taxi (only one taxi in the winter), and the rest are used to pull the drays because even in winter, the work of the island continues. Mail has to be brought from the ferries (or plane if the Straits are frozen), as do supplies for the grocery store, restaurants, hotels, and school that remain open. 4) Additional horses are brought to the island over the winter during peak times – Christmas and New Year’s – when more visitors arrive. 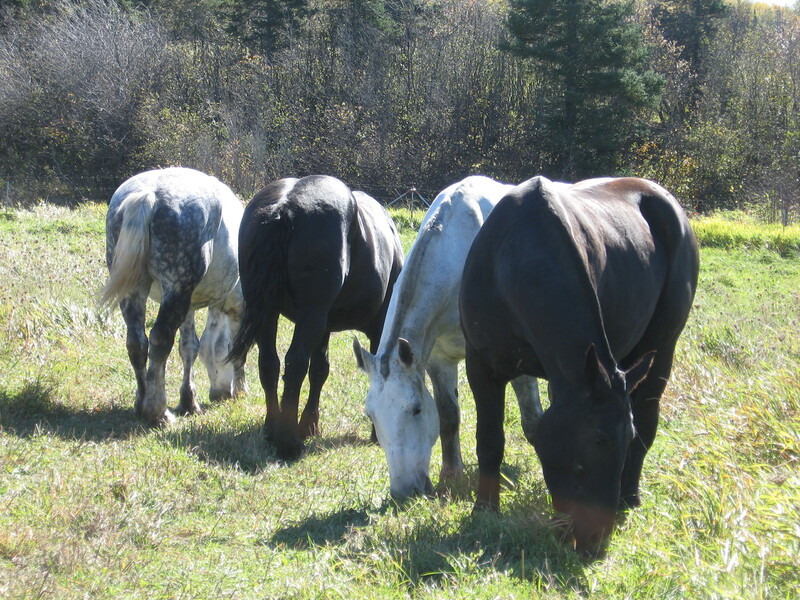 6) Not only do the horses know where they’re going when they are turned out into the pasture on the island without their shoes for the first time, but they also know by the changes that occur toward the end of the season. Randy said they know that when the weather begins to cool, and they are working an easier schedule, their days on the island are coming to an end for another year. 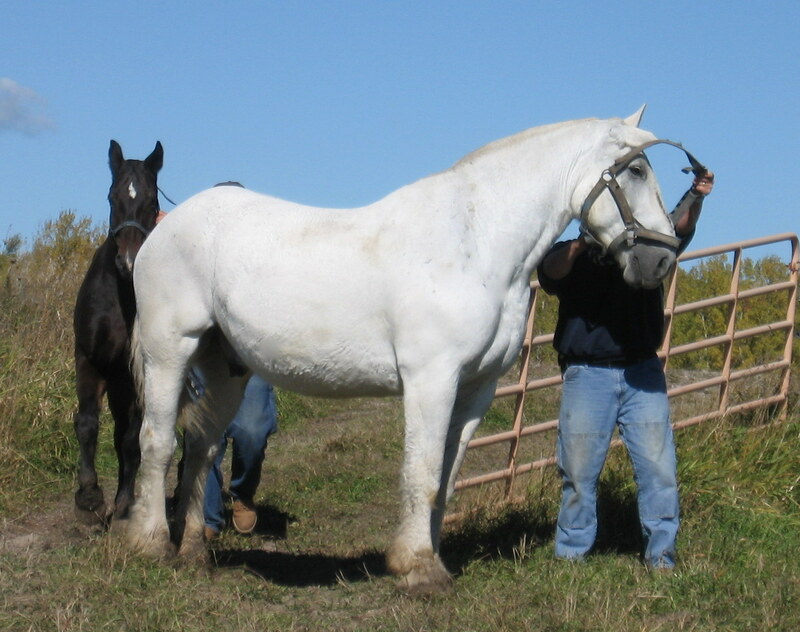 8) Only the draft horses (Belgians and Percherons) stay outside all winter. The others are brought in at night and during really bad weather. We’re at the farm! 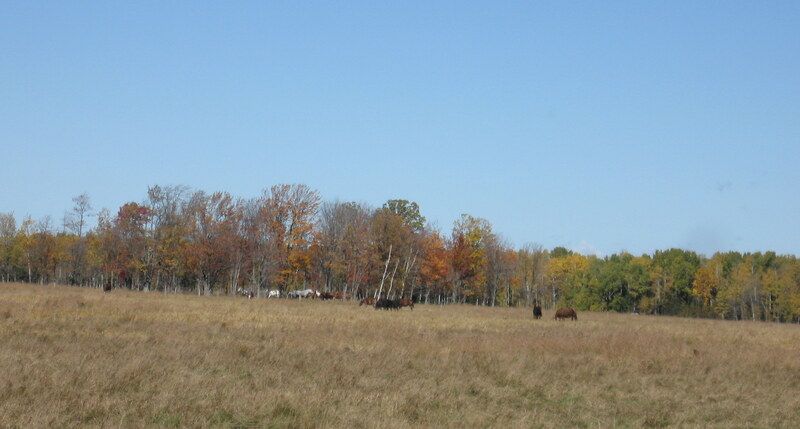 This was a 60-acre pasture that was a part of what is called “9-mile farm”, one of the three owned by Carriage Tours. Irvin, another Carriage Tour worker who stays in Pickford, was there to open the gate. I walked through the gate and was standing in the corner (out of the way) when the first horse was led off the trailer . . .
. . . followed closely by the second. And here’s where I choked up the first time. 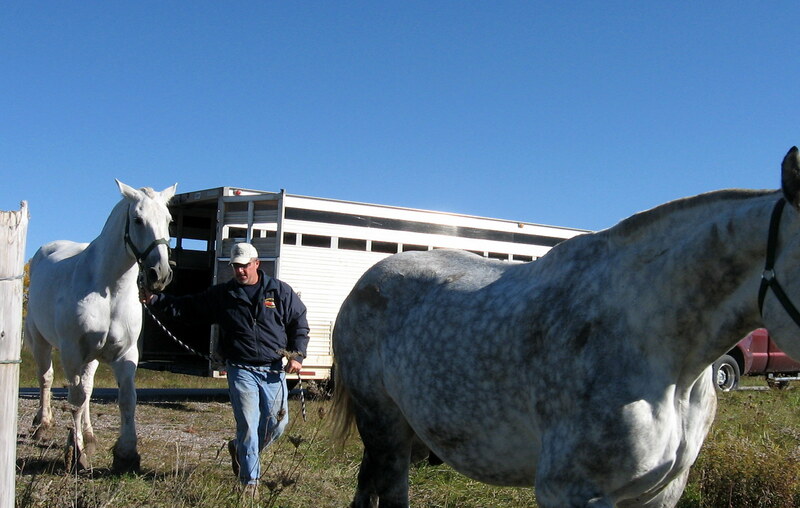 Watching Randy remove the halter, I envisioned the horses immediately taking off into the freedom of the pasture. 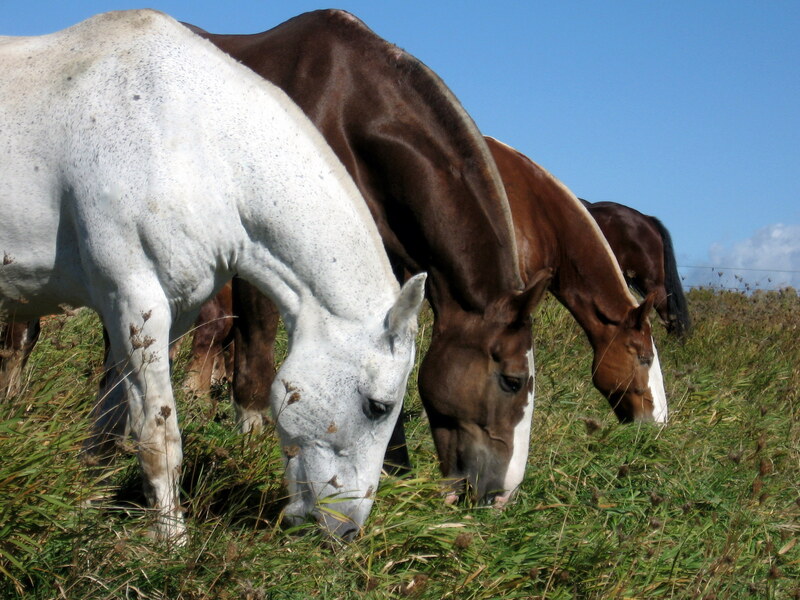 But these are horses so used to human companionship, so in tune with their lives around people, that their main interest was not first to “make a break for it”, but to taste the wonderfully abundant grass . . .
. . . and then to roll. 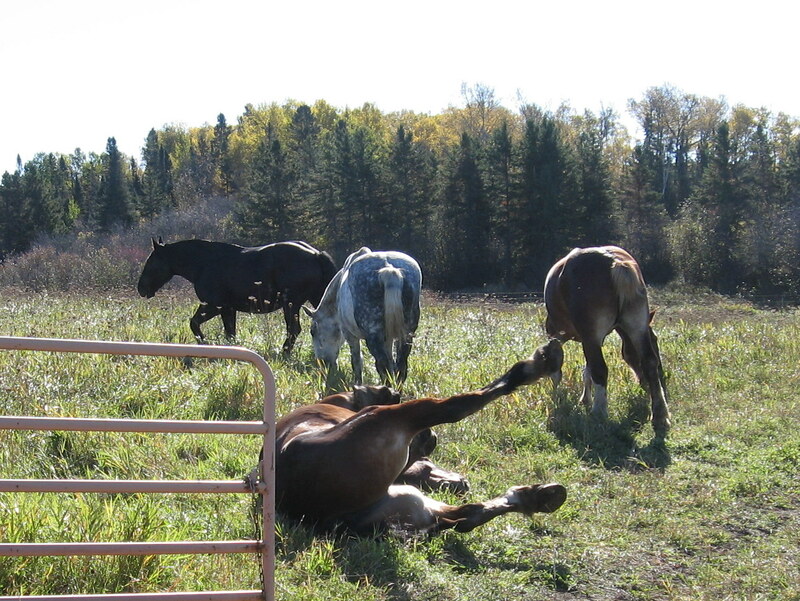 Can you image the horse joy of rolling around – not on the dirt of the horse corral below our condo . . .
. . . but to be scratching your back on green, sweet-smelling grass! Talk about kicking up your heels! 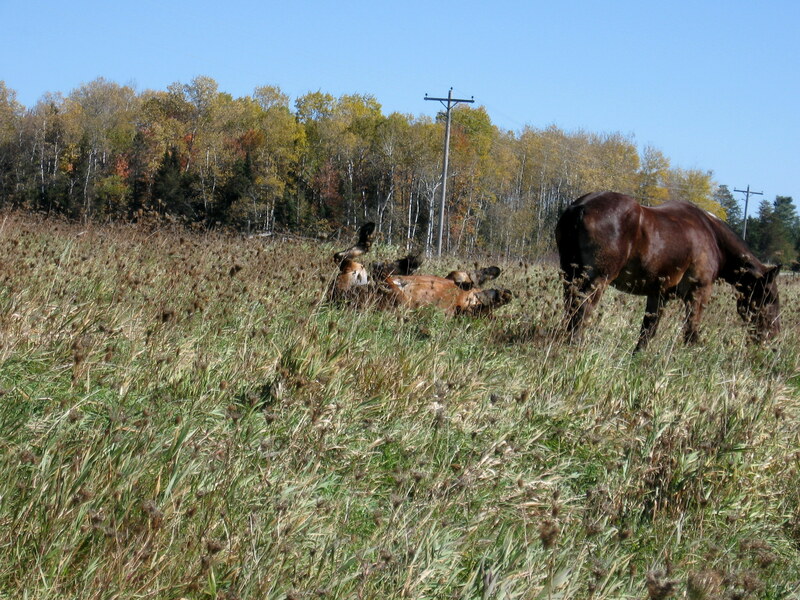 On the second trip, I went further down the pasture road to photograph the horses as they came in. These beautiful Belgians watched me curiously for a couple of seconds, then seemed to shrug and moved off to graze. After a time, they began to realize that they could move freely about this huge pasture, AND the pasture was full of food! 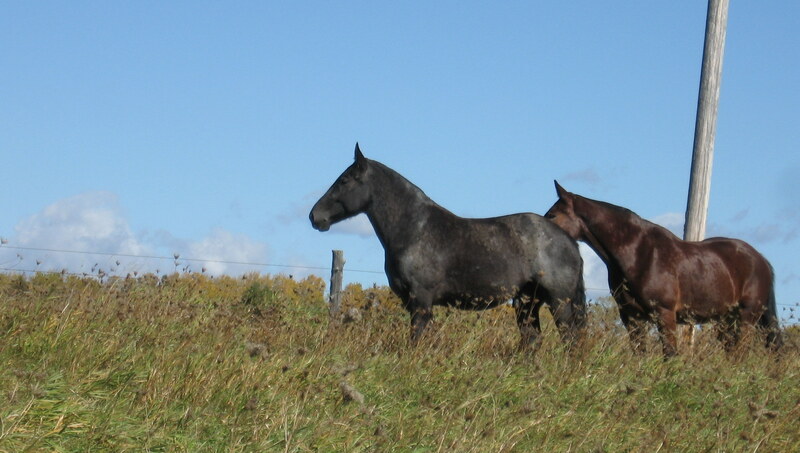 These two seemed to be watching for another horse. 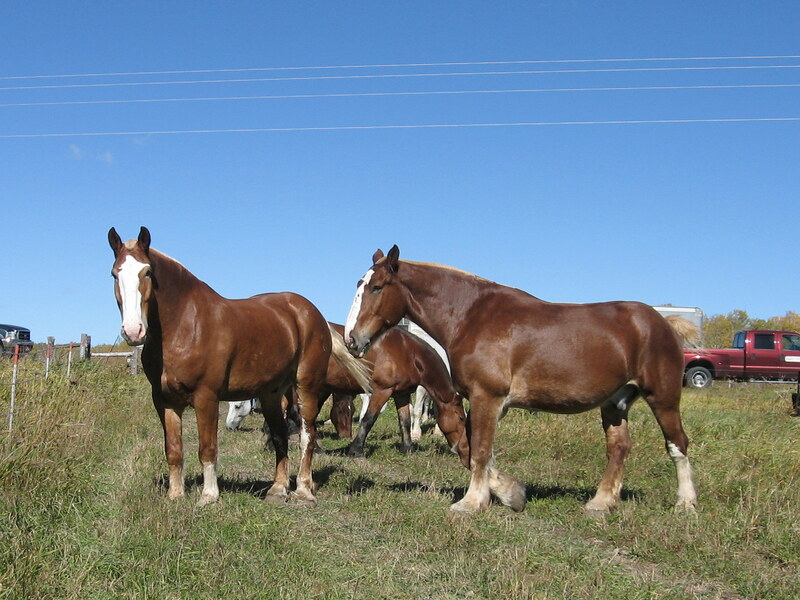 Randy said they were part of a three-horse hitch team and were watching for their friend. He arrived a few minutes later. At first I was concerned about Jane. 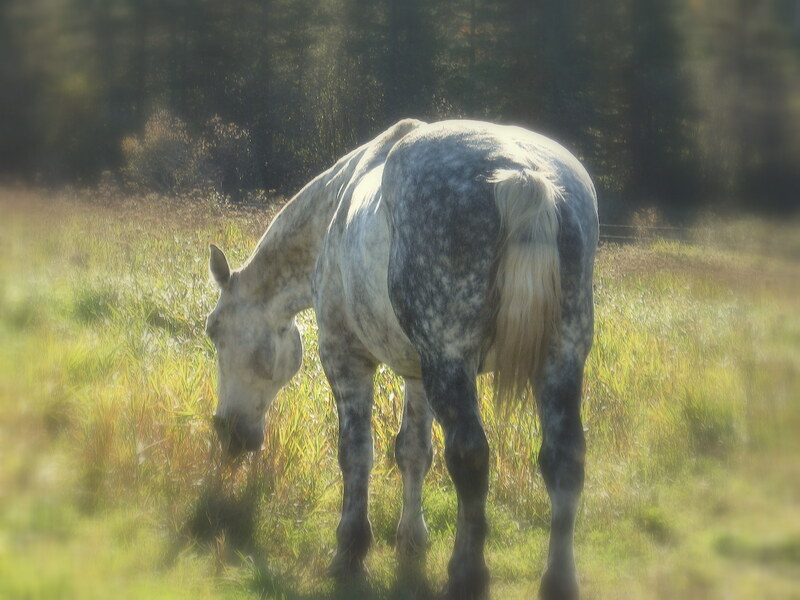 She walked into the pasture and stood completely alone for a few minutes, seeming bewildered by the big, open space . . .
. . . but shortly after that, her team-mate “June” found her. 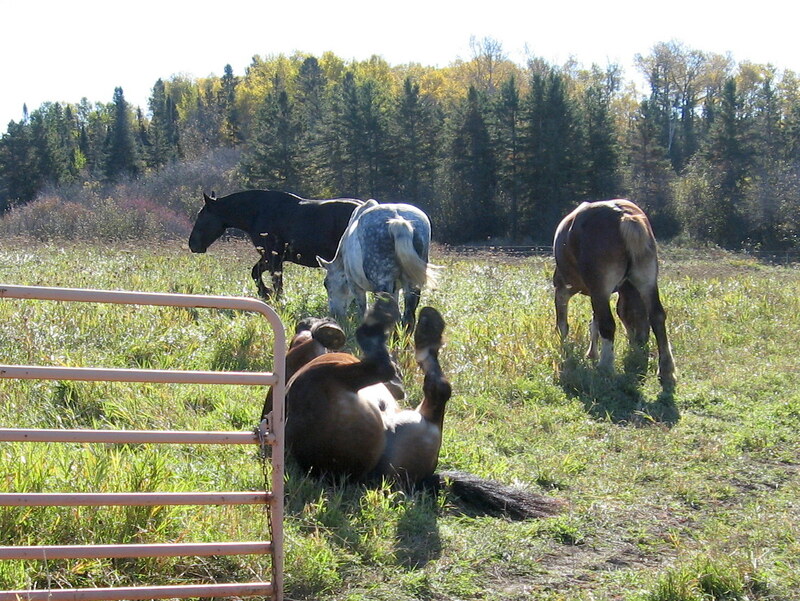 Then they both wandered off and found the third member of this 3-horse hitch bunch, “Jake”. That big tire is filled with minerals, and there are also salt blocks in the pasture. Two plus two. These duos may be team-mates, or they may just be part of a two-horse hitch group and feel more comfortable in groups of two. So beautiful . . . I walked back to the truck and took these next few shots from the road as the last few horses were released. 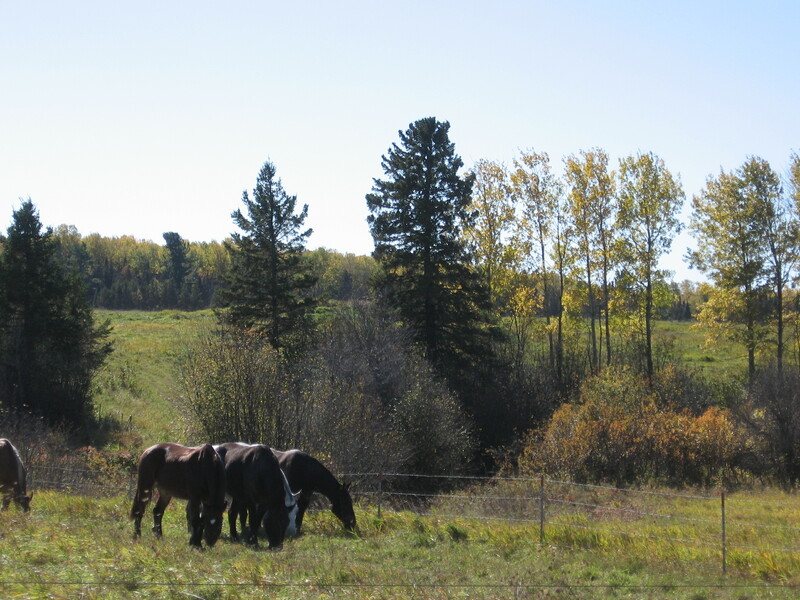 A river runs through that stand of trees to the rear of the pasture and will provide the water the horses need until they are moved later in the year. The horses have begun to move away from the fence and have started exploring their big, new space. 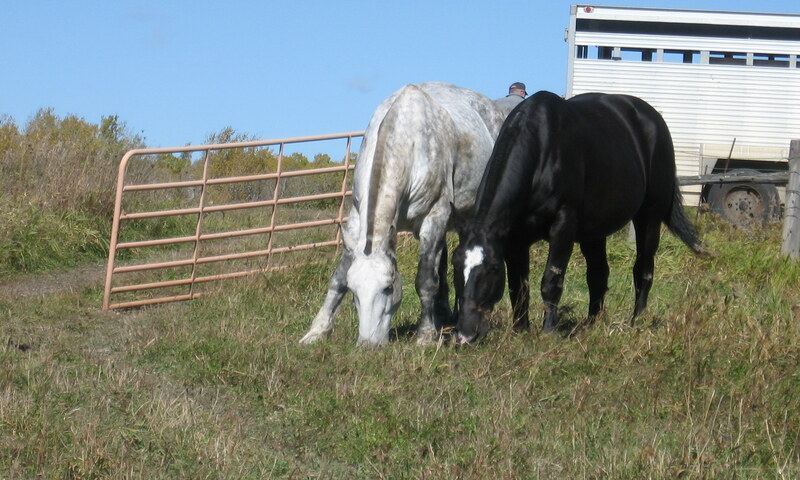 The Belgians and Percherons stay outside all winter in all kinds of weather. Randy said in 2-3 weeks, their winter coats will begin to come in, and they will look like shaggy versions of themselves. All the farms have ravines where the horses instinctively gather during snow storms. The sides of the ravines block the wind, and all those bodies snuggled together stay warm. 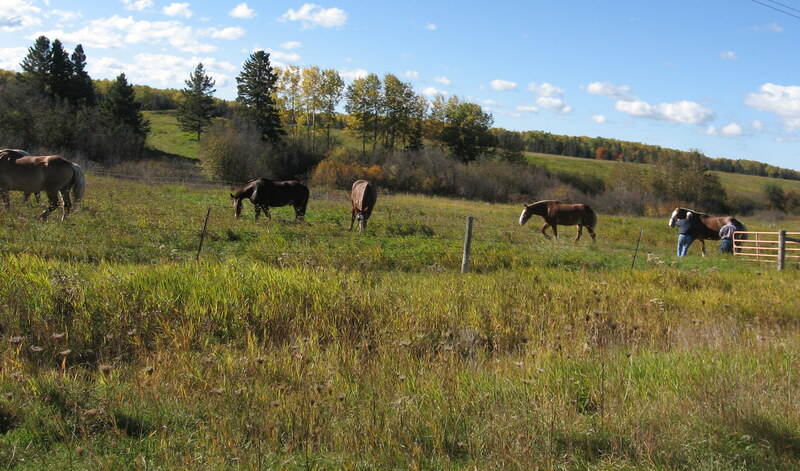 Randy drove a little out of the way to show me one of the farms where the horses will winter. 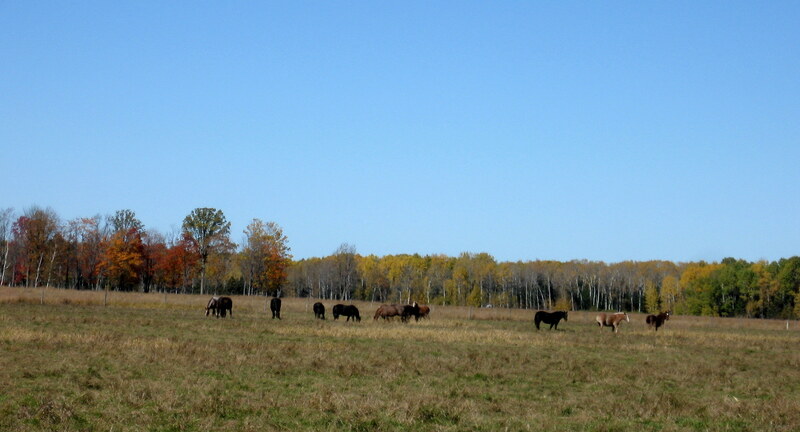 The 60-acre pasture we delivered the horses to today is only a temporary enclosure. 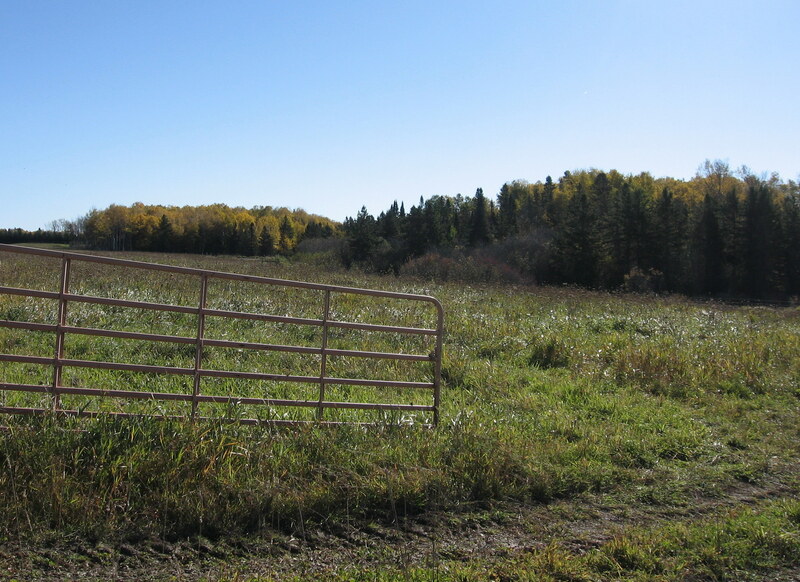 By December they will all be moved closer to this farm place, where someone lives year-round. 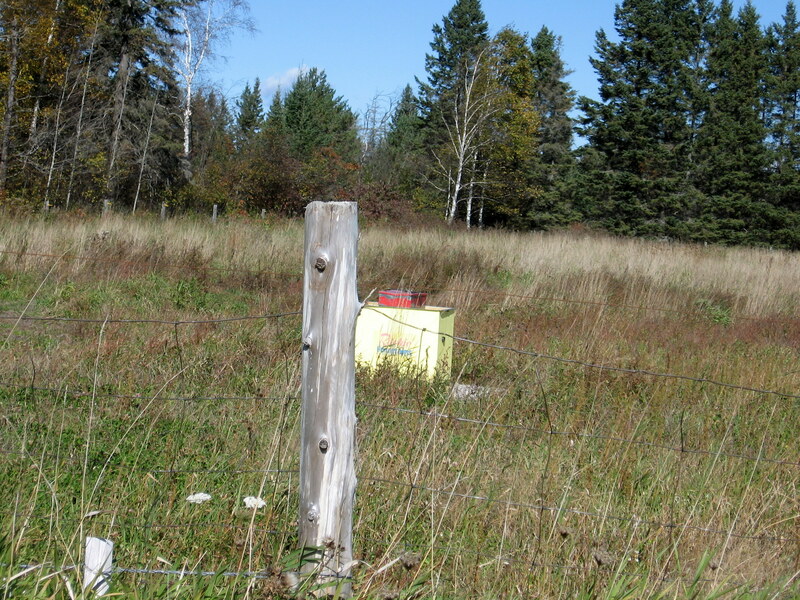 These water dispensers can be seen all over the farm land. The pipes are buried deep underground to prevent freezing. At the top of the pipe, warming trays keep the water from freezing when exposed to cold air. Each of these bales of hay weighs approximately 1200 lbs. It takes four of them per day for 80 horses. At the end of the season, the three farms will be supporting around 500 horses, so you can imagine how much hay has to be stored. As we left the farm, we could see in the distance other groups of horses whose vacations began a little earlier than those we brought today. The horses we dropped off will join these in December. What a beautiful vacation spot. 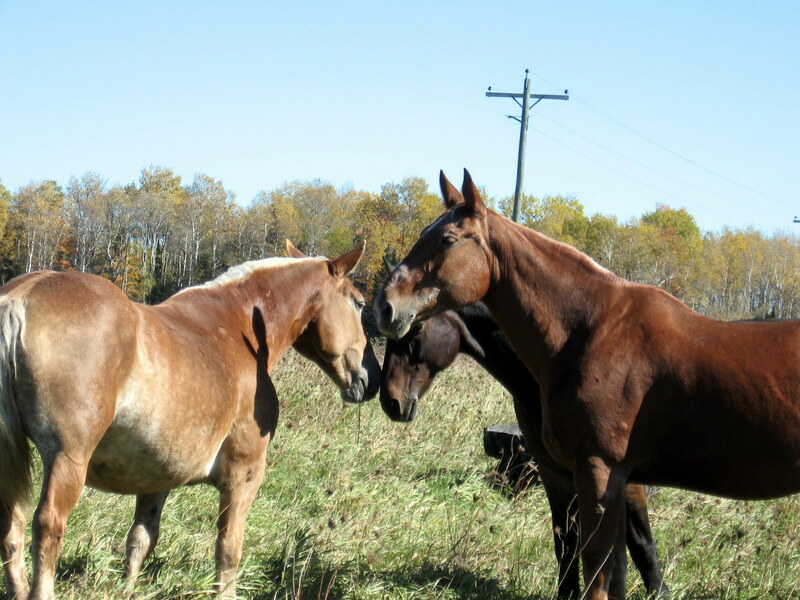 What a delight it was to watch the horses wander, in groups of two and three, around that pasture – nibbling on the grass, playfully trotting over to say “hi” to a friend, lifting their heads and feeling the wind ripple across their backs and over their ears. 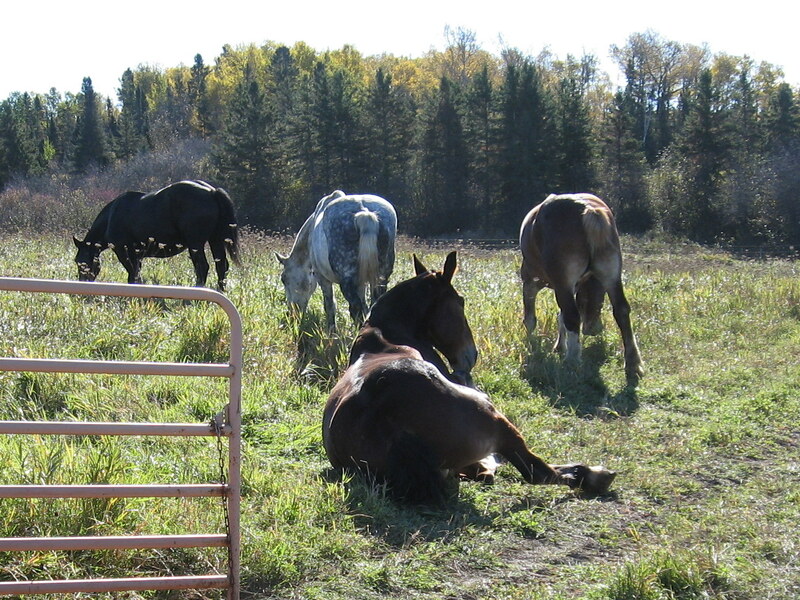 I wonder what they thought that first morning when they awake free – no noisy barn workers or drivers, no harnesses thrown over their heads or bridles put in their mouths. Instead they awoke, as their ancestors did before them – on the open plain – to a morning quiet except for the singing of birds and the whisper of the long grass shifting in the breeze. 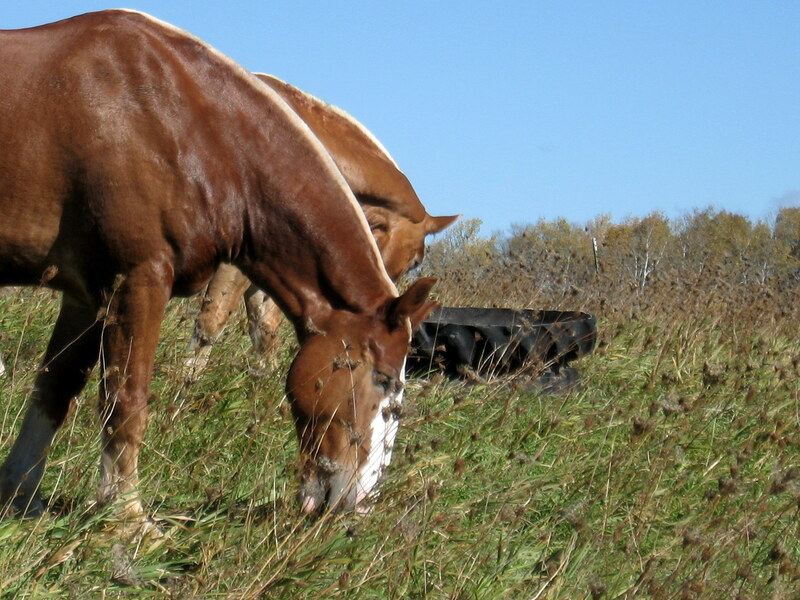 Perhaps they strolled down to the river for a sip of clear, cold water and then came back soon to find, in addition to the grass, bales of hay for their dining pleasure. To them, it had to be like Heaven on earth. Enjoy your rest, sweet giants. And in the Spring, come back to us fat and healthy and refreshed. We’ll be waiting. My sincere thanks to Doc Al for setting up this trip and to Dale Peterson and Randy Hall for your gracious hospitality. And a special thanks to Dr. Bill Chambers, who has allowed me to ride along – not only on this trip – but also last year when I wrote the stories about taxi and Carriage Tour drivers.